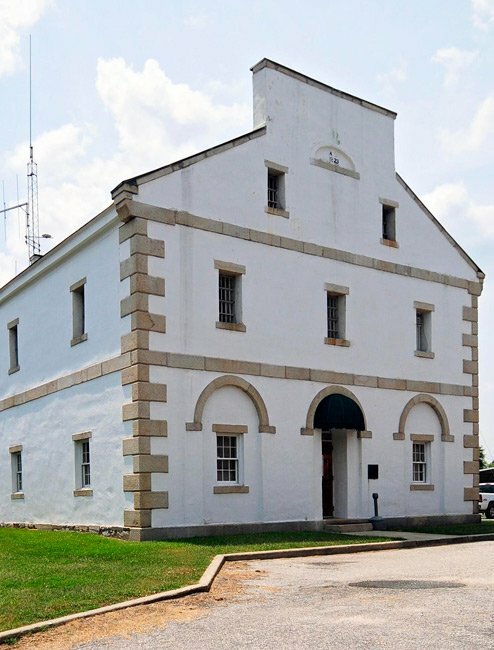 Renowned architect Robert Mills designed this jail in Lancaster, built in 1823. 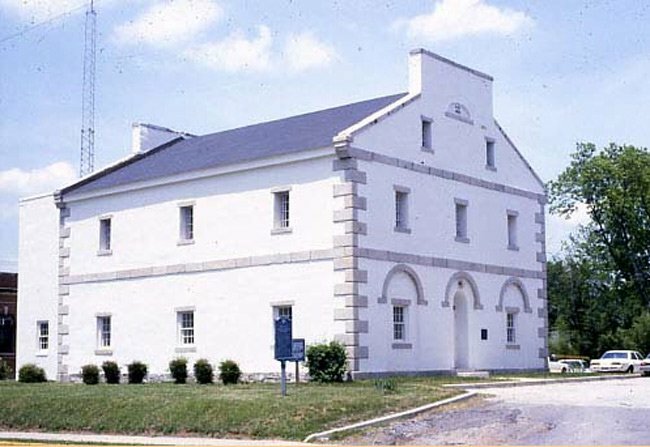 The first jail built in Lancaster County was erected around 1800 and sat behind the Lancaster County Courthouse. When a larger and more modern jail was needed, Mills created a facility that would afford excellent air circulation by placing barred cells in the center of the building. Mills’ idea of imprisoning lawbreakers according to their crimes was also implemented in the jail; for example, debtors were housed on the first floor while the second floor was reserved for more dangerous criminals. 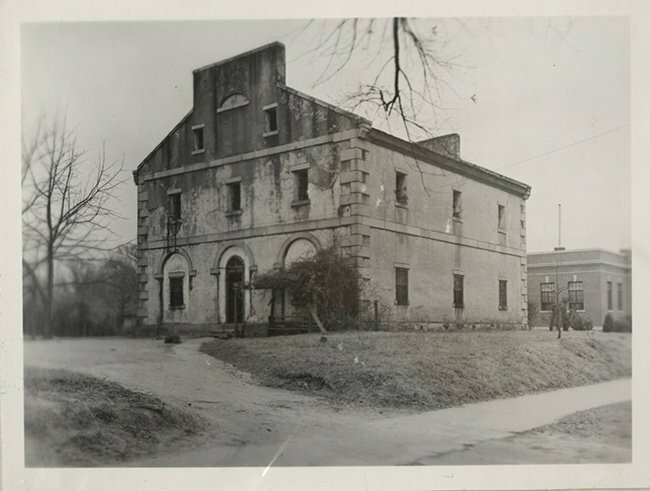 Mills also declined to add a dungeon to the jail, which illustrated his forward thinking regarding incarceration; however, stocks, a scaffold, and whipping post were utilized here until 1830. The building itself is a stuccoed Palladian-style structure with parapets and a gabled roof, Mills’ only structure to incorporate such medieval features. Brick vaults can be found inside. 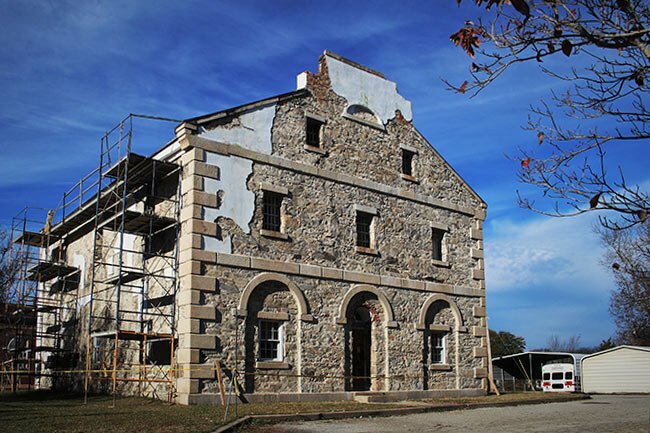 Handhewn stonework remains unaltered despite the fact that Union soldiers attempted to burn the building at the end of the Civil War. Sadly, the jail did burn on December 29, 1979, when an inmate set the building on fire. The event killed 11 prisoners. The building was no longer used following the tragedy, though it remains an historical reminder of the innovative thinking of Robert Mills. Douglas Smith, My mother and I were allowed to go into the jail in May 2018. I took a few pics with my phone. I will post them on the South Carolina picture project Facebook page. Hey Robbie, if you ever wanted to share them and have us potentially feature them on the page, we would love to take a look! My email address is brandon@sciway.net. Thank you! Douglas Smith, I have photos prior to the last renovation. Why is there not any photos available of the inside of the jail? I have not found any. I have lived in Lancaster all my life and not once have I seen where anyone was permitted to view the inside or to photograph it. I hope I am wrong about this.